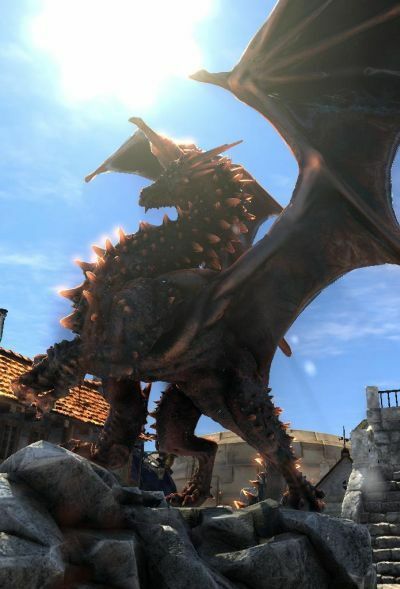 The version 2729 of Intel HD Graphics driver has been released with OpenGL 4 support. It’s rather a big surprise even if it was somewhat foreseeable. So let’s see how the HD Graphics 4000 GPU (Ivy Bridge processor) handles the OpenGL 4 tessellation in the following tests: TessMark 0.3.0 and Unigine Heaven 2.1. 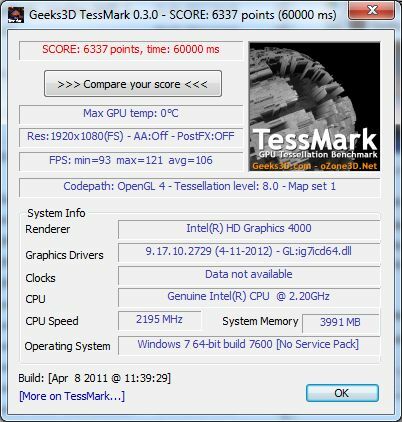 TessMark works like a charm with the version 2719 of Intel HD Graphics driver. This is really a good start for next versions of the OpenGL 4 driver. Settings: 1920×1080 fullscreen, map set 1, no postfx, no AA. Incredible! Ivy Bridge HD 4000 GPU is faster than the Radeon HD 5770 for high level of tessellation. This is a very nice result! 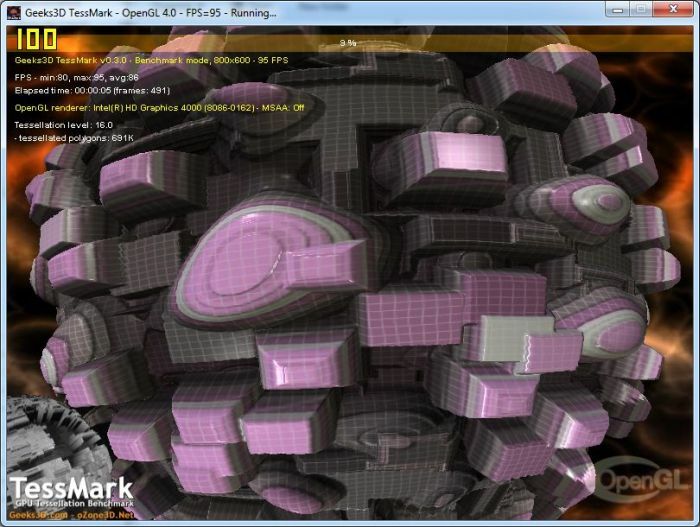 Unigine Heaven is a Direct3D 11 and OpenGL 4 benchmark. So let’s test the OpenGL 4 version. Settings: 1920×1080 fullscreen, tessellation: normal, shaders: high, AA: 4X MSAA, 16X anisotropic filtering. Rage is perfectly playable on Ivy. yeah, prfectly. 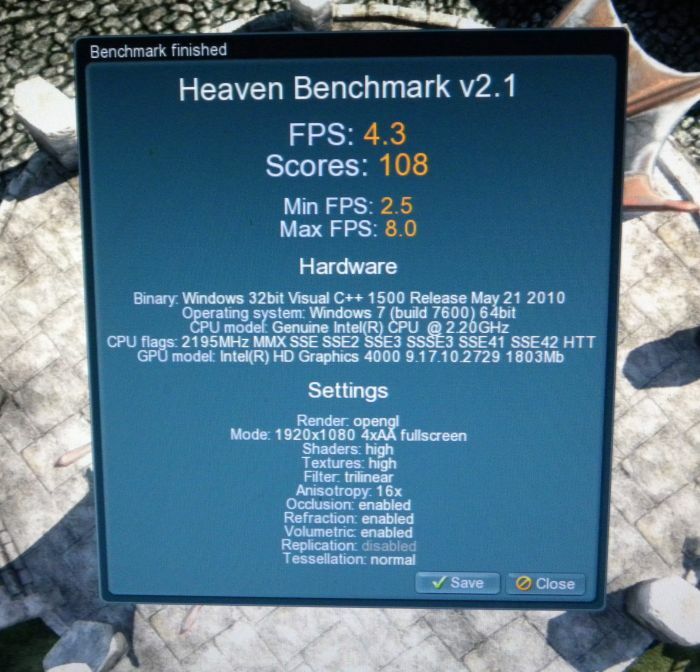 I have problems with my 560Ti, streaming textures, poor image quality, etc. I’ve installed the driver on my sandy bridge – HD 2000 – but GPU caps viewer still says it is only OpenGL 3.1. Another thing is that even simple demo “Simple mesh” does not work. I’ve returned to previous driver: 8.15.10.2712 (3-26-2012) – it is OpenGL 3.1, but somehow GLSL 330 can be used!